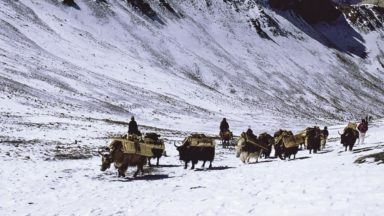 There are two major trekking routes between Padum and Lamayuru in Central Ladakh. 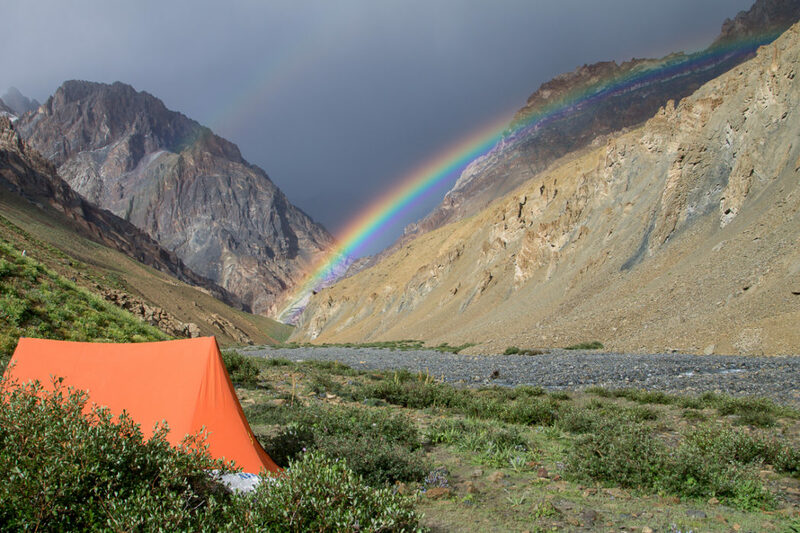 One is a classic and very popular route which starts out by visiting a string of villages along the Zanskar River; the other, the Kanja La trek, is wild, remote and demanding. 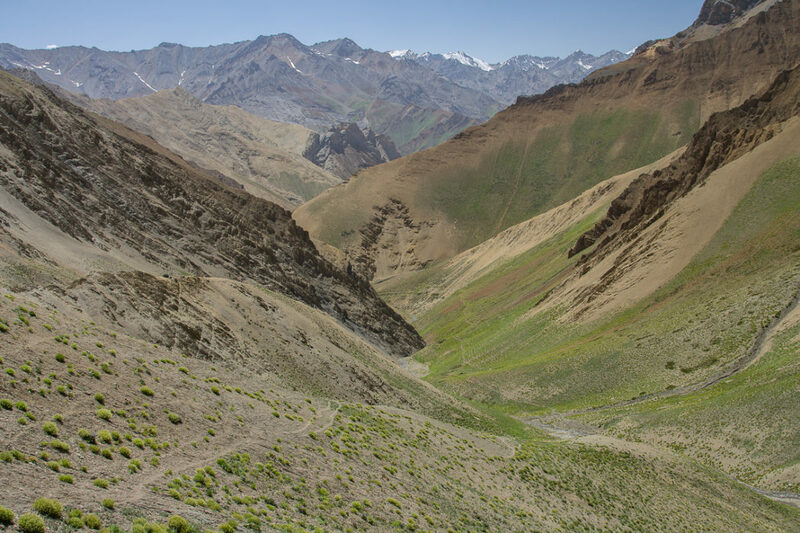 Both routes are described in Cicerone’s guide to Trekking in Ladakh, but you don’t have to choose. Here Cicerone author Radek Kucharski outlines a route which allows trekkers to combine the two, over the Barmi La pass. 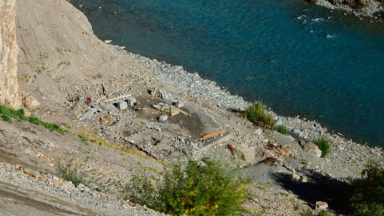 The classic route to Central Ladakh from Padum follows the left bank of the Zanskar River passing Karsha, Pishu, Pidmo and Hanamur villages. Eventually it leaves the river to cross Hanamul La and reach the major settlement of Lingshed, home to a large monastery. After a few more passes, it then reaches Photoksar and then follows river banks and roads from there to Lamayuru. This trek gives you a good opportunity to see local life, stay with families in their houses, watch local culture and Buddhist rituals in monasteries or even help the locals in the fields which can be a good fun and great experience. But it is very popular and gets packed in high season. Moreover, there is a road under construction from both ends along this route and so the trekking trail shortens significantly every year. The other route – the Kanji La trek – leaves inhabited areas very quickly. It follows the Oma River along often little-used footpaths. It crosses many rivers and difficult passes and stays in the wild to a large degree. It is a fantastic trail – one of my favourites – but a section of it is dangerous for pack animals so the access is limited to self-trekkers. It is also quite precipitous in places so you might not feel comfortable following it. 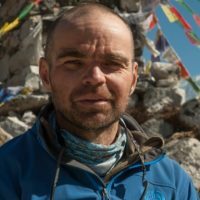 And you might regard seeing the local life and visiting monasteries as a vital part of the trekking experience, largely missed on the Kanja La trek. But there is a way to combine the two routes and enjoy the cultural experiences and the remoteness in a single trek. I did the combined route on my first visit to Ladakh in 2004. It was my second trek in the region and it was a kind of marathon: a 19-day solo trek from Padum to Alchi over Hanamul, Barmi, Pikdong, Kanji, Tar and a few more passes. The Barmi pass and the valley beyond it were among the highlights. On my second, long visit to the region in 2009 I did both the classic and the Kanji route between Padum and Lamayuru but not the Barmi La pass. Last summer season I finally had a chance to check out the Barmi La again when I was leading a trekking trip to Ladakh and I'm convinced that this is a really interesting option. Both routes start in Padum and follow the classic route to the Oma Chu valley beyond the Parfi pass. They split here. The classic route climbs to Nyetse and continues to Lingshed over the Hanamul (also spelled Hanuma La, 4757m) on the next day while the Kanji La route continues along the Oma valley to Zhingchan then follows a high, precipitous traverse across a wild area. To combine the two routes continue from the Parfi pass along the classic route as far as Lingshed. This picturesque, large village is spread among beautiful green terraces and there is a large and important monastery here. You could stay near to it and attend morning prayers to have a glimpse of Buddhist monastic life. From Lingshed the classic route continues towards the Sengge La and Photoksar village but to follow the combined route to the Barmi La you need to start by retracing your steps back from Lingshed for about 4km to the bridge crossed the previous day. At this point, take care not to follow the traverse to Lanak (Hanamul La Northern Base Camp) but find a tiny path going directly east. 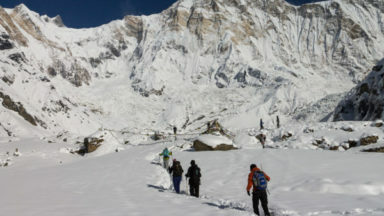 Barmi La (4695m) is 3.4km from the bridge as the crow flies and 700m higher. The footpath gets clearer as you approach the pass with the final traverse and chortens atop clearly visible before the final ascent. It took us about four hours to get to the top from the campsite in Lingshed. The way down is picturesque. Do not expect to meet anyone here. In late summer the valley is full of flowers. The scents are mesmerising. The path follows a descending traverse of the left slope before crossing to the right slope beyond the first tributary valley on your right, about half an hour’s walk from the pass. The traverse is quite clear all the way. After about another hour, you will pass a shelter and another one a kilometre further on. After that, cross to the left bank for a short while and then continue on the right traverse. Crossing two or three times more you will finally get to the valley floor. Follow it. There are willow bushes in that section and the valley is quite narrow. Soon, about three hours after leaving the pass, you will reach the main river flowing from your right. It is Oma Chu and the place is called Lingshed Sumdo. Make camp here. The valley between the Barmi pass and Lingshed Sumdo. 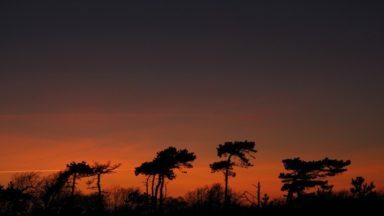 You follow traverses across beautiful meadows. Zanskar Mountains all around. Continue along the main river upstream on the next day. At this point you are already on the Kanji La route. You will need to cross the river many times. It was quite challenging when we were there on 20 August this year but it's true to say that there was a lot of snow in the region last winter and a lot of rain in Ladakh this summer. If you happen to be there early in the season you could try traverses of the true left slope of the Oma valley. These pathways are used by local people of Dibling and it should be fine to follow them although they are precipitous and certainly not suitable for horses. 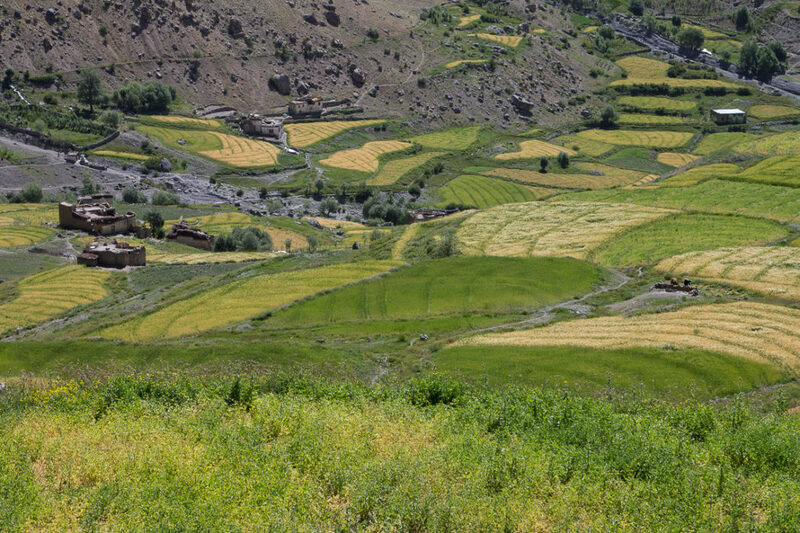 Dibling is a picturesque, tranquil village in the upper Oma Valley – a remote and isolated place. I’ve always found the people there friendly and hospitable. It's one of my favourite places in Ladakh. Make camp beyond Dibling in the Pikdong La Base Camp, near the shepherds' shelter. We were lucky to meet people there and have a taste of zho – a fantastic local yogurt. Climbing the Pikdong La on the next day is hard. Beyond it you generally follow a stony riverbed before climbing to a ridge on your left. 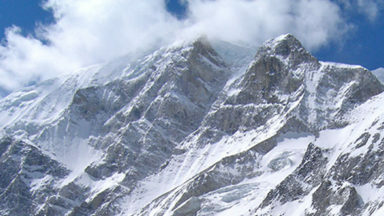 Glacier-covered peaks and valleys can be seen on the left from the ridge. The stream which you need to cross further on originates in that glacier and might be a major obstacle even in late August. If you’d been trekking there alone this summer, after all the snow and rain, you might well have had to retreat. A picturesque, long traverse high above the valley floor follows. Finally, a rocky gate leading to a side valley can be seen on the right. There is a place for camp at the confluence. To reach it you need to descend to the river and cross it. This year we needed a rope to manage that crossing. The way to the Kanji pass (5272m) on the next day is long and tiring. However, if the weather is clear and you still have some strength reserves when you get there, climb the ridge which is left of the pass. Vistas include the main ridge of the Great Himalayan Range with the over 7000m-high Nun Kun twin peaks, the Zanskar Mountains all around you as well as the Ladakh Range and the Karakoram towards the north. Descend and sleep at the Kanji La Northern Base Camp. Kanji village is reached on the following day after a walk in a picturesque valley. 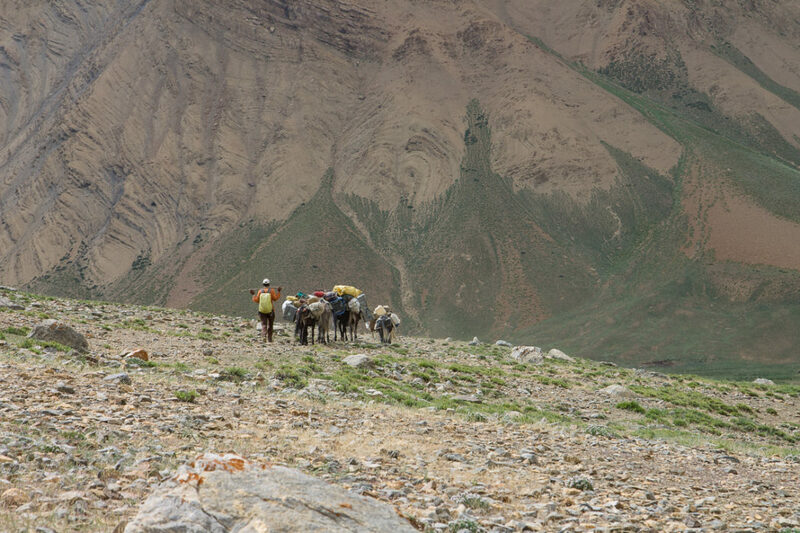 You can finish the trek here – cars are available – or continue over the Yokma pass to the Shillakong Togpo canyon which is one of my favourite deep ravines in Ladakh. If you take this option, as we did, you could finish in Shilla or trek as far as Lamayuru. 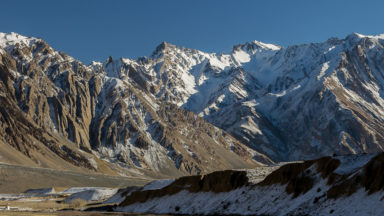 Whether you finish at Kanji, Shilla or Lamayuru you will have enjoyed some of the best trekking Ladakh has to offer – and the best of both worlds, too. Rainbow after quite a heavy rainfall in the Kanji La Northern Base Camp.